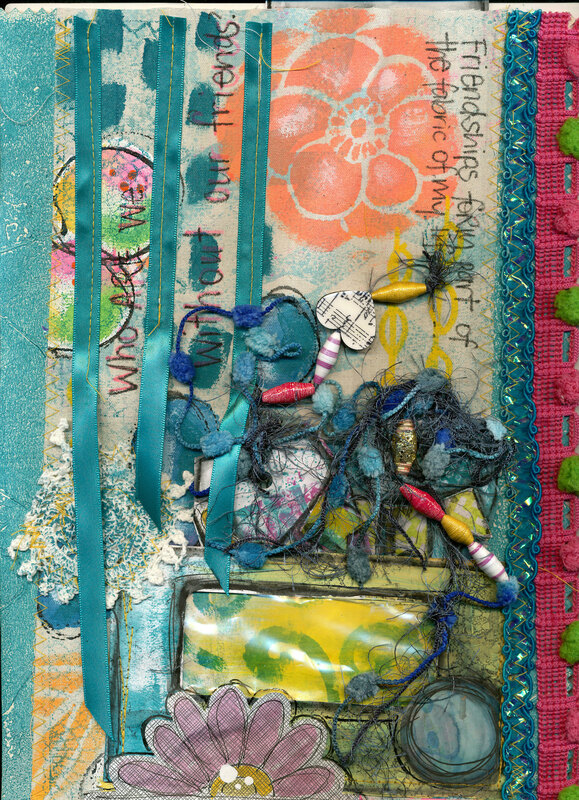 This week’s prompt challenges you to use fabric on your journal page. 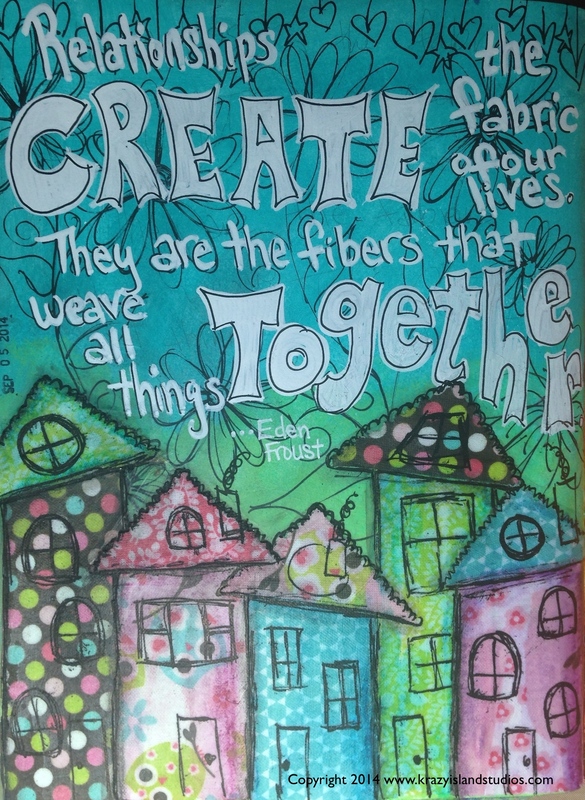 This is a fun prompt with so many ways to incorporate fabric into a spread. 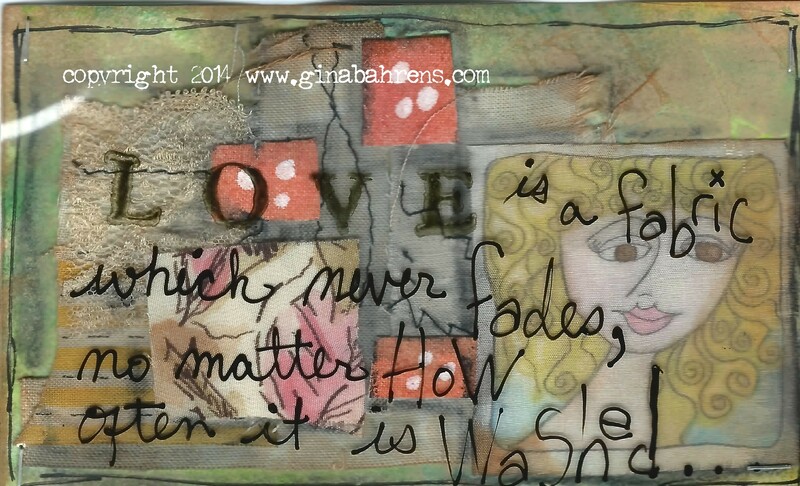 You can create flowers or other embelishments out of fabric, use it as a fun background, or sew it directly to the page like both Gina and Peta did on their pages. I can’t wait to see the ways y’all add fabric to your pages this week.